If you've been playing Battlefield 1 this weekend, you might have seen the game's gorgeous zeppelins do something unexpected. 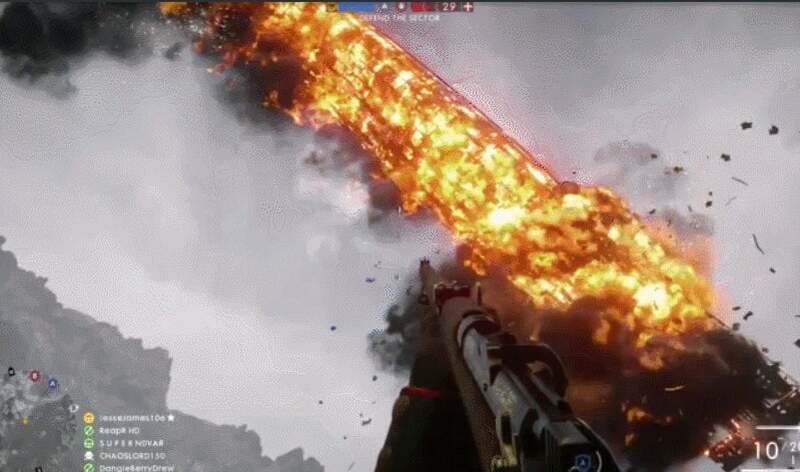 A video uploaded earlier today to Imgur shows a Zeppelin from the latest Battlefield glitching after it's hit by a plane and transforming into a glorious, flaming tornado of death. Lots of people work hard to try and eradicate every last bug in their game, but in my opinion, what doesn't completely break your game only makes it stronger. Or in this case a giant fireball. That is amazing... full weekend of play and never saw that once.... ripped off. Like, duh, that's not crazy, that's just the Angel of Mons. That's no glitch. That was a famous WW1 battle where Goku fought Vegeta.